a collection of a hat, scarf and a large, reversible, L- or V-shaped shawl, worked in entrelac with textured squares. What is your favorite flavor? Strawberry, banana, lemon, raspberry, carrot, cherry… ? a simple, summery tee with an easy lace pattern at the top and bottom. a hat worked back and forth at a very tight gauge. 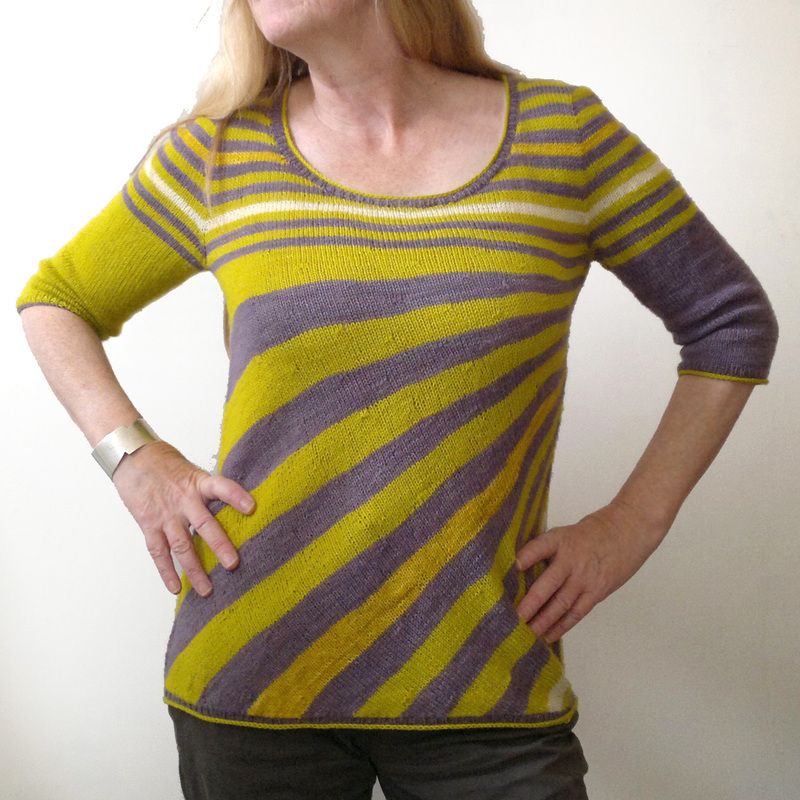 a pullover with an ‘invisible’ sleeve inset. 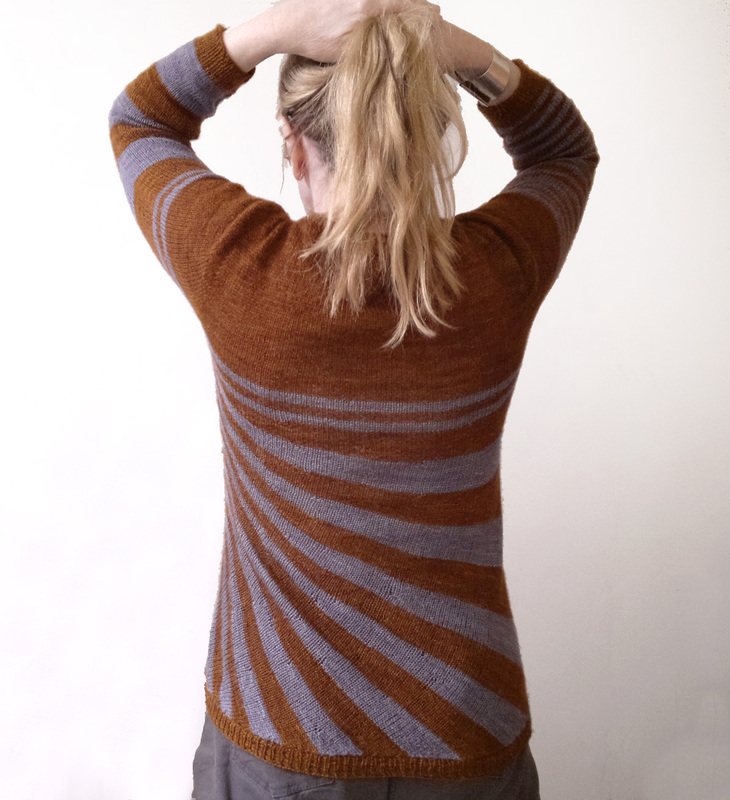 a pullover with an interesting – and very easy – construction. a large, reversible, extra soft and squishy shawl with a generous size and ‘syncopated’ triangle shaped brioche stitch patterns in two colors. a large, reversible, extra soft and squishy shawl with a generous size and ‘syncopated’ square brioche stitch patterns in two colors. starting with a loop in an I-cord, it is first worked sideways and then top down. 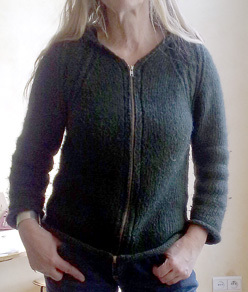 an open front cardigan with a lace collar, large cosy pockets and lace on the hem and cuffs. A little bit of stripes, a little bit of lace. a large boatneck, some positive ease, fitted sleeves with a ‘wrong’ lace mesh. 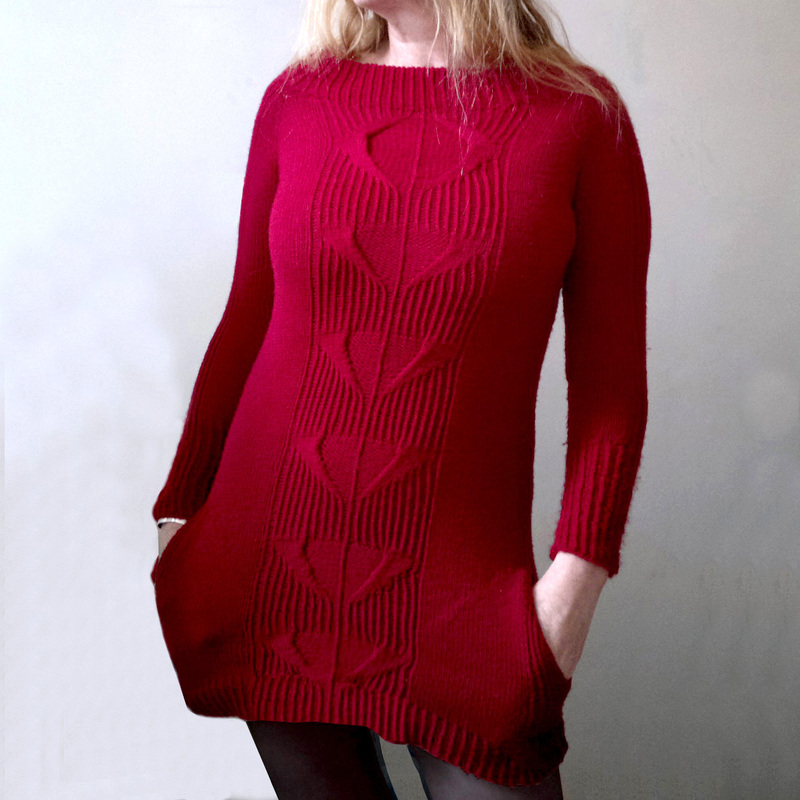 worked sideways with 2 different ribbing patterns and assembled in a quite unique way with contrasting seams. 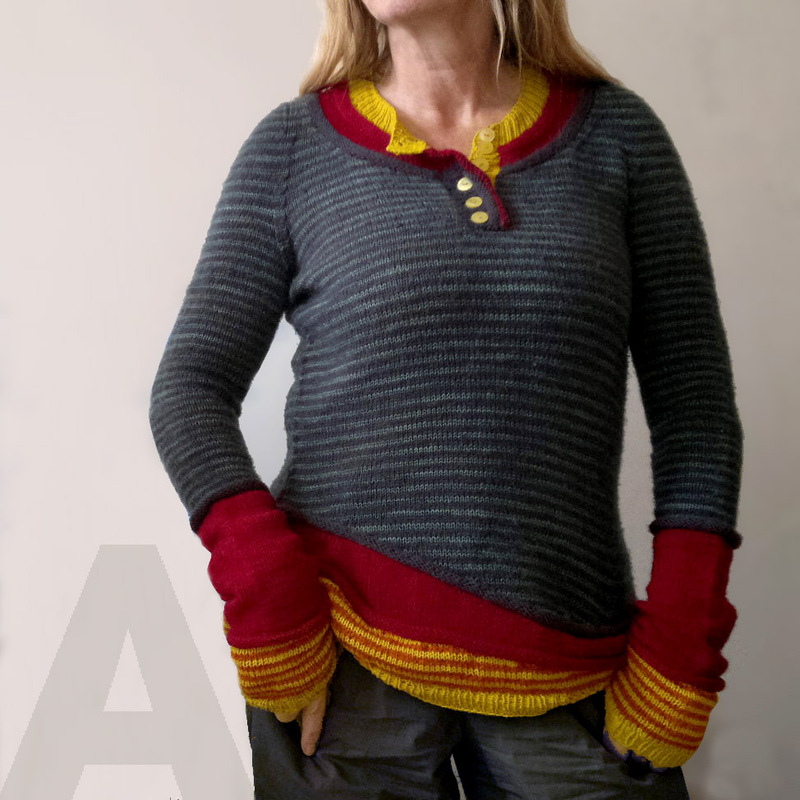 pullover with extra long sleeves with thumbholes and a playful (easy) stitch pattern that makes the stripes go dancing. A modern oversized pullover with fitted sleeves. 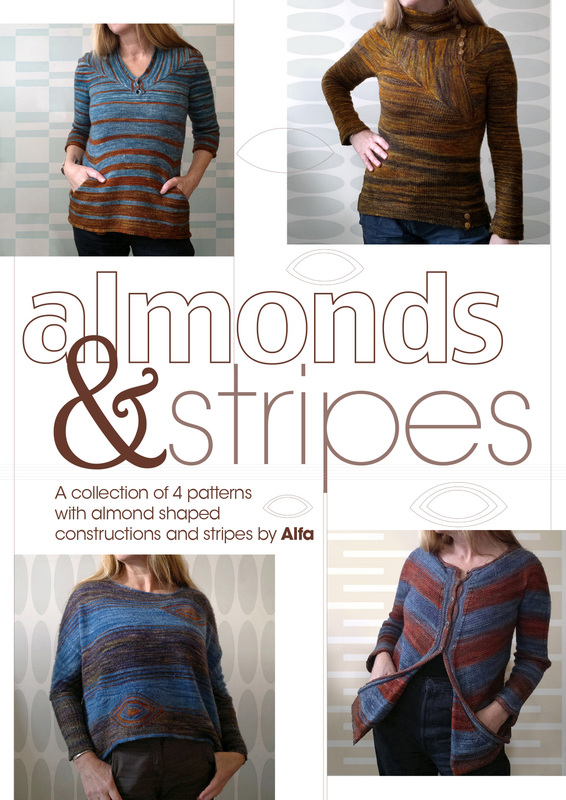 It’s basic shape gives a lot of possibilities for striping or other colorwork motifs. 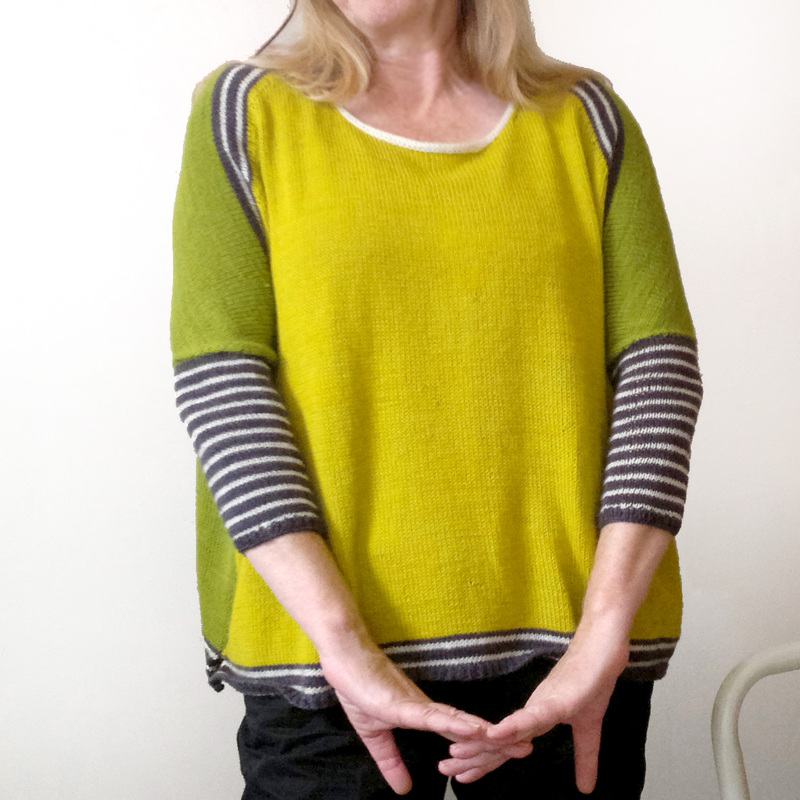 A tunic worked seamlessly from the top down in 1 piece, featuring a large doubled boatneck collar in twisted ribbing, large cabled panels and pockets. 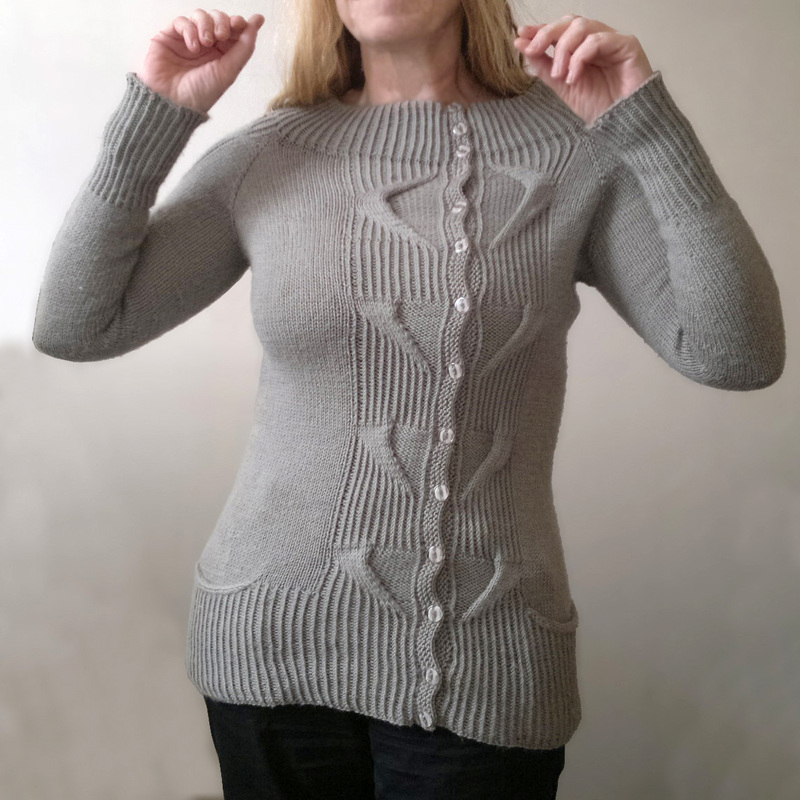 A cardigan worked seamlessly from the top down in 1 piece, featuring a large doubled boatneck collar in twisted ribbing, large slightly offset cabled panels and pockets. an adventure from cast-on to bind-off. a layered henley shirt worked bottom up, in the round, seamlessly and in 1 piece (yes 1 😉 with a contiguous sleeve inset and extra long sleeves. Based on the construction of something beanie: it’s special construction to build the swirls at the end is easy and very simple to do. pasOsolo is an asymmetrical shawl with a swirl on one end and a point on the other. Based on the construction of something beanie: it’s special construction to build the swirls at the end is easy and very simple to do. pasOdoble is a symmetrical shawl with swirls on both ends. Something is a set of a beanie and a cowl with a special but easy construction. They are worked back and forth, but also kind of in the round in 1 piece and completely seamless. And another good news is : there is absolutely no purling to do. Miss boule is a seamless pullover worked from the top down in 1 piece. Starting with shaping the back and shoulders, stitches are picked up for the front and sleeves and are worked following the contiguous sleeve method, developed by Susie Myers. 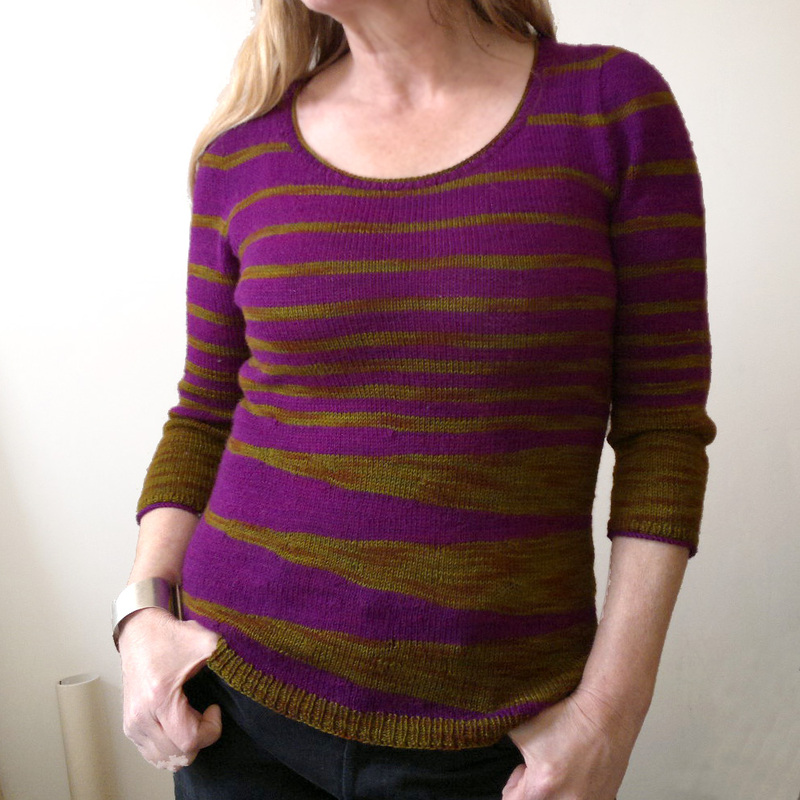 Miss boule sans boule is a seamless pullover worked from the top down in 1 piece. After shaping the back and shoulders, stitches are picked up for the front and sleeves and are worked following the contiguous sleeve method, developed by Susie Myers. a color block tee with some whimsical details. Pas encore, malheureusement. J’ai le projet de traduire quelques patrons en français. Mais je ne sais pas quand ils seront disponible.